As South Korea's president Park Geun-hye finds herself embroiled in scandal, accused of betraying the trust of her people and recklessly abusing the power which comes with her position, the release of Yeon Sang-ho's latest movie seems impeccably timed. 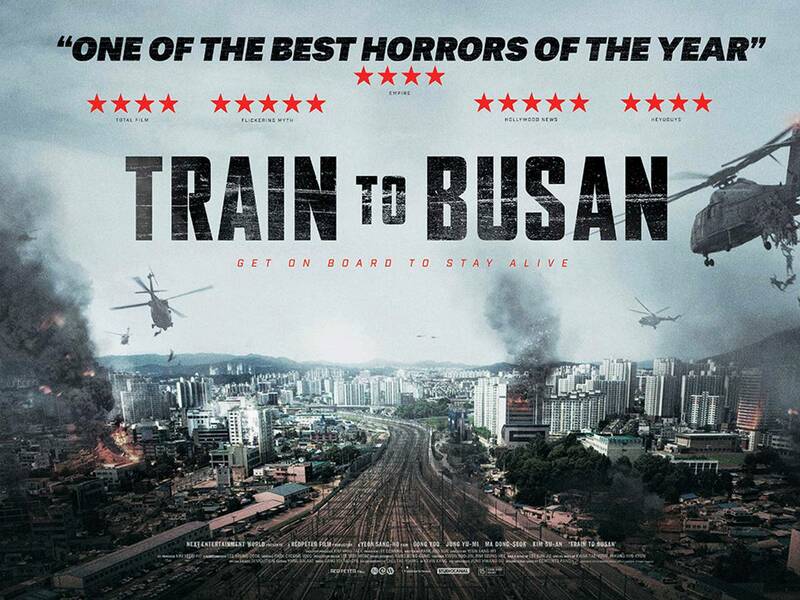 Whilst Train to Busan may be one of the most gripping horror films of recent years, endlessly inventive with its set-pieces and staged action, it follows the lead set out by George A. Romero of inveigling biting social commentary into a crowd-pleasing spectacle. We may well fondly remember the choreography of the mass brawls here, but it is the satirical impulses highlighting top-down corruption of the elites - the real disease contaminating society - which will stay with us most profoundly. 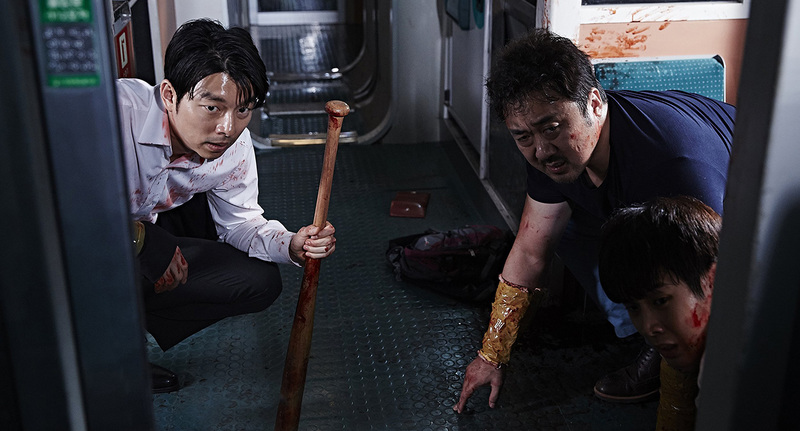 The rather simple premise found within Train to Busan is that of a sudden, nation-wide zombie outbreak occurring as our protagonists are trapped on public transport. A divorced fund manager Seok-woo (Gong Yoo) and his young daughter Su-an begin their journey surrounded by passengers from all walks of life - two elderly sisters, a baseball team and their cheerleader, an odd-looking eccentric and an expecting couple, each settle into their carriages unaware of the chaos that is about to explode as a wheezing passenger stumbles on-board. Falling to her feet, spasmodic convulsions soon overpower the late-comer who is revived only by an avaricious desire for blood. As a pandemic sweeps throughout the train, our heroes must protect themselves from the plague of the Undead - with nowhere to run and evacuation seemingly impossible, each of the passengers must ask themselves what lengths will they go to in order to survive? As violence escalates, blood staining the corridors as the number of the infected horde swells and swells, a survival impulse kicks in and we get to see an ugly side to humanity. "At a time like this, you only look out for yourself," Seok-woo sternly scolds Su-an as a rebuttal for her crime of showing empathy and altruism; in these times of desperation, we glimpse just how monstrous the human heart can be. Seok-woo, a predatory capitalist who we learn makes his money in a rather immoral manner, represents the cowardly, Darwinian heart of an elite concerned only with self-preservation. As TV channels broadcast messages to stay calm, continually underplaying the true nature of the contagion, Yeon asks us to constantly question authority. The old Confucian order which once governed the nation, one which placed great importance on the clemency and benign decency of those higher up the hierarchical ladder, has been replaced with the individualistic greed which governs capitalism and has corrupted the spirit of the Korean elites. This is a zombie movie full of awe-inspiring scenes of panic, ingenious combat sequences, and a rich emotional undercurrent too, but at its heart this is a "station of a nation" address which questions how those in power have allowed themselves to become so deceitful and twisted. As the action commences, we begin to question whether its just the flesh-eating zombies who are the villains, or whether the real antagonists are the spineless figures in positions of power who betray the Korean people and their values. Such is the callous wickedness of the elite here, the audience will find themselves in a peculiar position of occasionally rooting for the zombies as we bay for blood. Train to Busan, Yeon's sequel to the animated Seoul Station, encapsulates everything that is great about Korean cinema - its engagingly political, tonally innovative and visually arresting. Whilst the director's previous films, including King of Pigs, each provided great insight into the Korean character, none has done so with half the wit, verve, vitality and heartfelt power of his latest. A smash hit in his home country, this could and should see Yeon breakthrough as a director on the international stage.